Houston’s garden soil composition has been described as “gumbo,” or sometimes “black gumbo” depending where, in the greater Houston area, you live. I dubbed the soil in our new yard as “lake bottom muck” after I walked through the yard following a late summer downpour. Texas’ 168 million acres are generally categorized into four natural geological regions. The greater Houston area is considered to be in the state’s Coastal Plains. I recently learned that, twenty years ago, the subdivision I live in was a hunting preserve. When the Developer came in and cleared the land, the lots were surveyed and the streets were graded. The topsoil that had been here for decades, even hundreds of years, was stripped and hauled away. When our Builder started construction on our house, dirt from who knows where was brought in to raise the foundation of our house. Later, masonry sand was dumped in the front yard for making mortar to brick the exterior of the house. When the house was nearly finished, leftover foundation dirt, construction debris, masonry sand and some additional “top soil” was pushed and scraped across the property by a back hoe to “grade” the property for draining water away from the house before a landscaping crew came in to lay sod and create the front planting beds. If you are fortunate enough to live on a piece of relatively undeveloped property, you can use a recent Soil Survey Report to discover what kind of soil you have on your property. I doubt very much that the “Landman Fine Sand” that used to compose the soil on my once hunting preserve property exists in much quantity any more. “Lake Bottom Muck,” or “Builder’s Potluck” is a more appropriate classification for what you may have if you, too, live in a suburban sub-division. 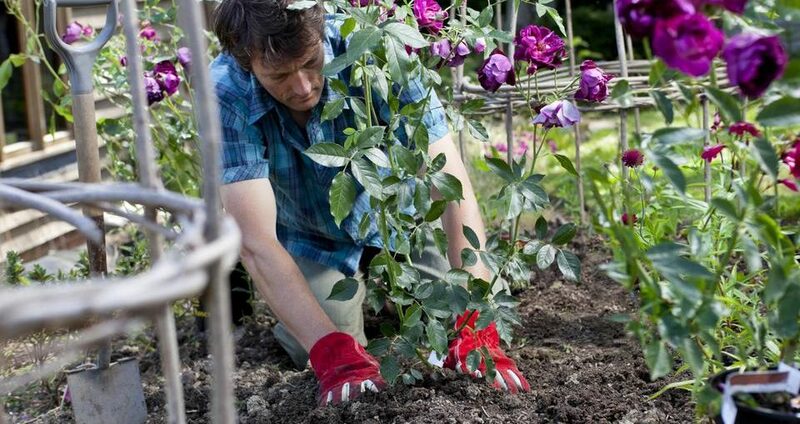 Professionals would have you believe that your chances of gardening successfully in the greater Houston area are slim without assistance from trained landscapers with specific expertise in soil science or botany. You don’t need a degree in soil science, botany, or plant physiology in order to garden successfully in Houston. It is helpful if you know some basics but the number one goal in gardening should be to have fun doing it. I found that performing a simple soil test in my own home to determine what kind of “Houston Gumbo” I had in my yard was both fun and instructive. And it boosted confidence in myself when I realized that I can do this; its not as hard as it may seem to build great garden soil texture in Houston soils.